Attach Communications provides the highest quality fiber optic and network cable installation services for optimum business communications. 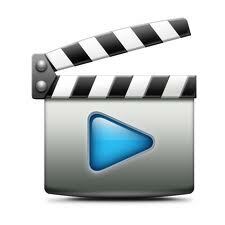 We complete all fiber optic installation projects on time, with excellent customer service, and for the lowest price. Fiber Optic Cable Placement – Aerial or underground placement of fiber optic cable through existing or new inner ducts from the provider location ( Pole, Manhole or pedestal ) to the customer location ( Office or Home ). 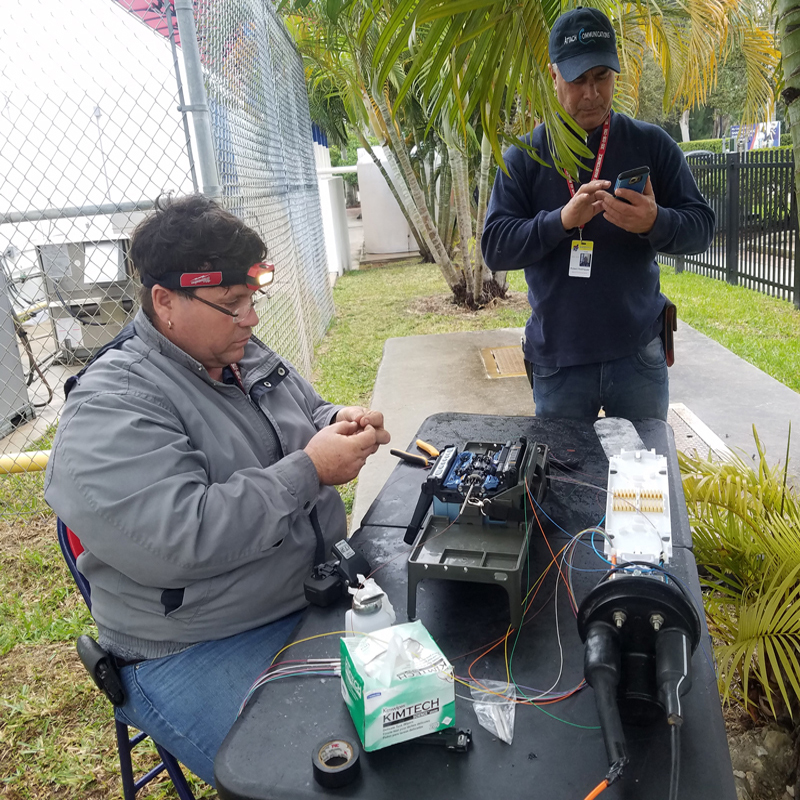 Fiber Optic Cable Fusion Splicing, Terminations and Testing – After the cables are installed and terminated to your spec, it’s time for testing. Cables need to be tested for continuity, end-to-end loss and any other potential problems. For long outside plant cables with intermediate splices, all individual splices need to be verified with an OTDR, since that’s the only way to make sure that each one is good. Within the network testing for power is necessary as power is the measurement that tells whether the system is operating properly. Fiber optics cabling is the core of today's Datacom networks. Optical fiber is the predominant media type for mission-critical datacenter links, backbone within buildings, and longer distances for campus networks. As network speeds and bandwidth demands increase, distance and loss limitations have decreased, making fiber optic cabling certification more important than ever. For decades, fiber optics have been inspected and cleaned to ensure the proper passage of light. 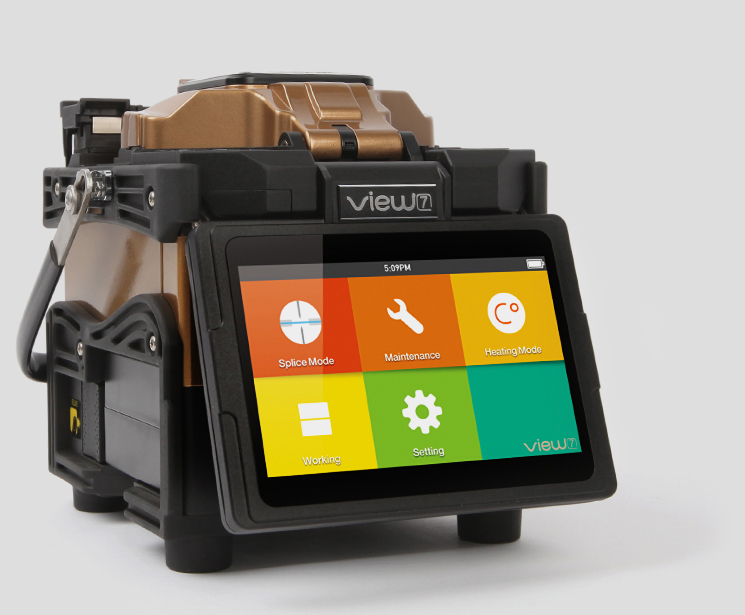 While fiber optics inspection and cleaning fiber connectors is not new, it is growing in importance as links with increasingly higher data rates are driving decreasingly small loss budgets. With less tolerance for overall light loss, the attenuation through adapters must be lower than ever before. This can be achieved by properly inspecting and cleaning fiber optic cables when they are installed or while making moves, or changes. Certification of new cabling per IEEE, TIA/EIA, or ISO/IEC standards is necessary to ensure that the link will run the intended application. Complete fiber optic cabling certification includes two parts; Tier 1 or Basic Test Regimen and Tier 2 or Extended Test Regimen. 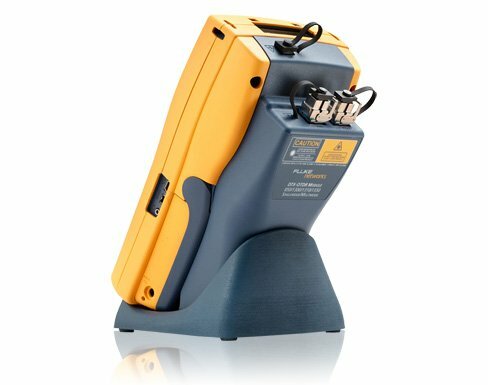 Tier 1 fiber optic cabling certification is performed with a power meter and light source or optical loss test set such as the OptiFiber OF-500 to measure the absolute loss of the link and compare it to the limits in the standard. 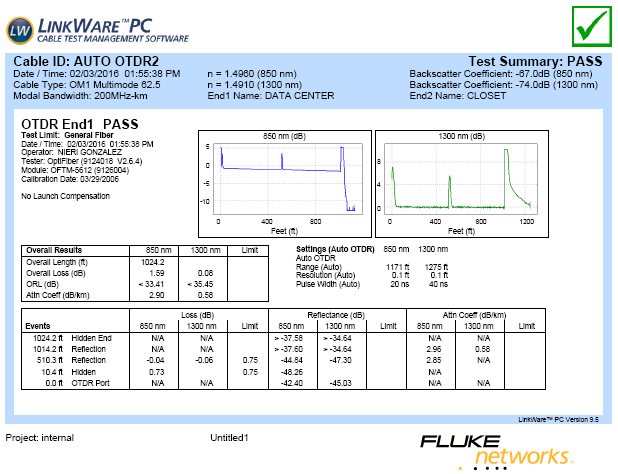 Tier 2 fiber optic cabling certification and troubleshooting can be performed with an OTDR such as the OptiFiber Pro OTDR. 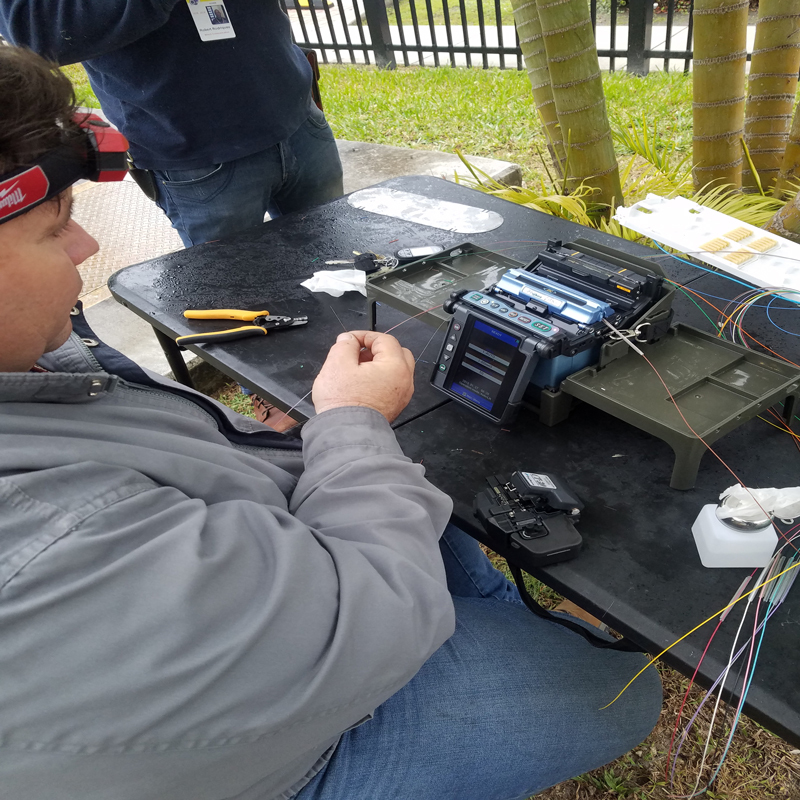 Certification of fiber optic links requires the right testing equipment, detailed knowledge of installation and application standards, and the ability to document your test results. 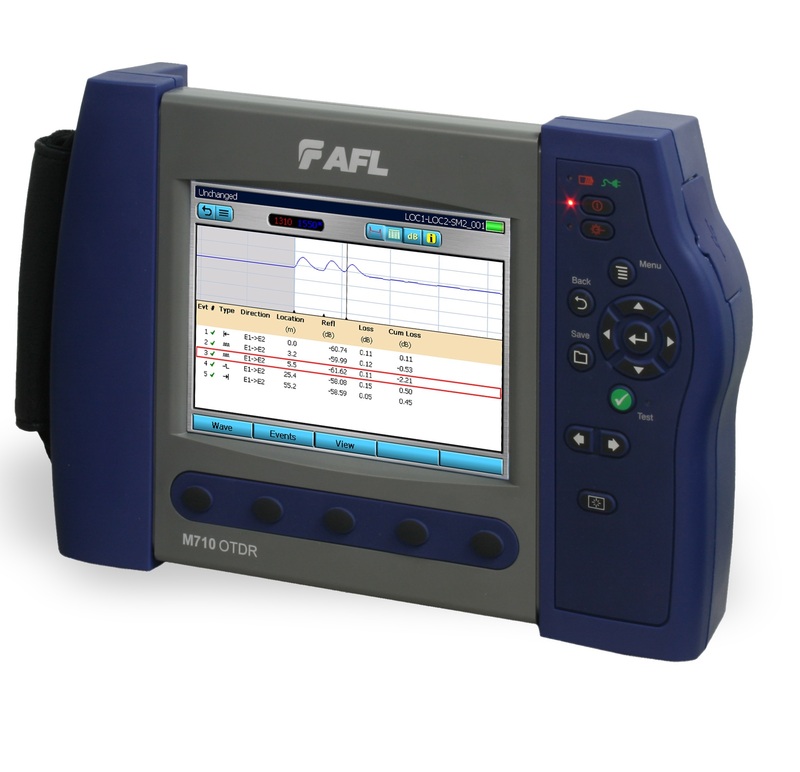 The OptiFiber is a handheld fiber optic certification tester that quickly and easily certifies multi-modeand single-mode networks. 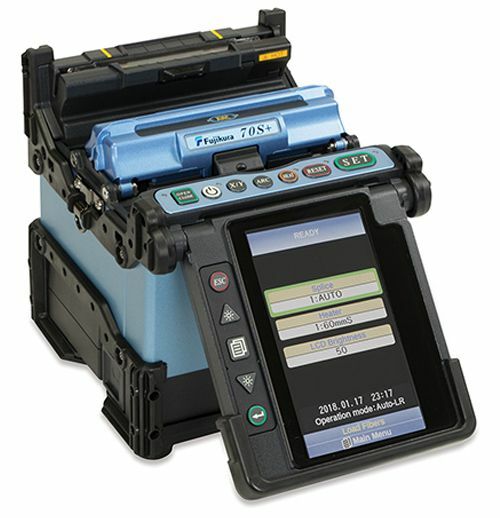 One button measures fiber length and optical loss on two fibers at two wavelengths, computes the optical loss budget, compares the results to the selected industry standard and provides an instant PASS or FAIL indication.